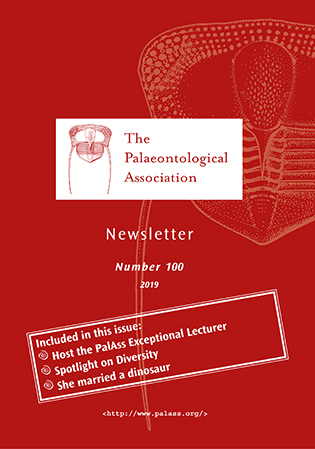 The Palaeontology Newsletter contains a mixture of palaeontological news, book reviews, reviews of past meetings, details of forthcoming meetings as well as a series of regular discussion features. Copies of the Newsletter from Issue 26 onwards are available online from the Newsletter Archive. This series of 30 articles, written by Norm McLeod, explores aspects of quantitative analysis in paleontological contexts with an emphasis on practicality, understanding of the issues involved in planning a data analysis strategy, and the implications of making choices between available data-analysis techniques. This series of articles, written by Mark Bell, explores aspects of the statistical computer package R.
This series of articles, written by Peter Forey, explores cladistics in six easy sessions (Introduction, Characters, Tree building, Optimisation, tree support and consensus, Missing values and Stratigraphy). Emphasising the PAUP computer program in the relevant articles due this is the most comprehensive and widely available at the time of writting.